AMSEC’s affordable “In-Room” Electronic Safe, with easy installation, maintenance and management features has become a popular safe for College Campuses. Designed for Dormitory use to protect and secure your valuables. 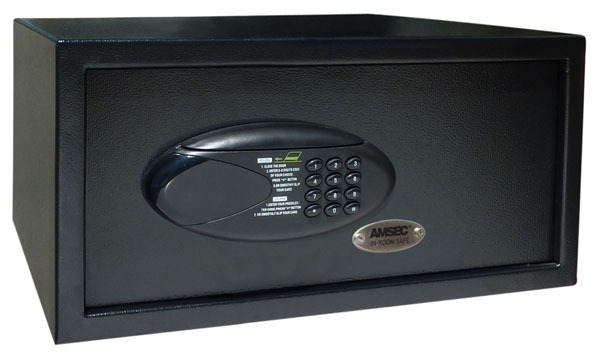 The IRC916E will adequately secure laptop computers, iPads, iPods, cameras, jewelry and other valuables in the most user-friendly safe made. 4 to 6 digit combination, standard room configuration (customer sets new combination every time safe is used, quickly and easily), or electronic credit card.